Thanks to everyone that managed to join us live today for the "do-it-yourself forums" WebCast! The WebCast went very well and we successfully showed you how you can build a custom forums application in no time at all. 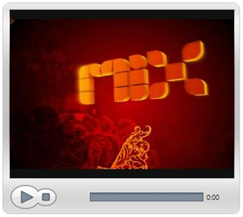 We also demoed one of the latest features in the new RadAjax "Prometheus"- the RadAjaxManagerProxy. This new tool in the ASP.NET AJAX-based RadAjax finally makes it easy to add Ajax to UserControls and Pages in a MasterPage-based website. 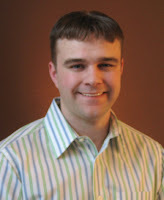 Check out more about this new proxy control in a recent post I made on the Telerik.com blogs. The official recording of today's live event will be available sometime next week, but for those of you who want to see what we did before that time, I have a pre-recorded version of today's WebCast available right now for your viewing pleasure. The pre-recorded version is almost identical to today's live event, so check it out and see how you can use the RadControls to build a forums application in less than an hour. The Silverlight-based PopFly "application" from Microsoft that I mentioned last week has started to expand its Alpha program. I received an invitation to join the Alpha sometime last week and I have finally gotten around to checking things out. My general impression is that PopFly is still very, very Alpha. There are definitely some cool things being done here and there in PopFly, but by and large it is still a novelty for tech geeks to admire. Among the cool features in PopFly is the web-based IntelliSense for the HTML editor. About a year ago I considered building an Ajax-powered "IntelliSense" control for the web to make browser-based HTML/ASP.NET editing more pleasant, but needless to say that project never materialized. Microsoft's Silverlight powered IntrelliSense, though, is right on the money and I look forward to seeing it used in other places on the web. As for the actual "mash-up creator", the experience is definitely unique for the web. You can drag and drop blocks on to the page (and you actually hear a little sound when you do that - a scary sign of possible "sound abuse" to come as programmers build Silverlight apps) and then visually connect them in a relatively intuitive fashion. The experience is far from polished and even further from appealing to the "average Joe" PopFly claims it's designed for, so I think it will be interesting to see how Microsoft makes this appealing to the "non-professional" developer. If you have not received your Alpha invite yet (or if you just don't care to take the time), I've created a full screen shot gallery of PopFly for your viewing pleasure. Check it out to see how things look in this early Alpha preview. Did this one slip by you, too? As I sit hear listening to the Windows Weekly podcast with Paul Thurrott, I was shocked to hear Paul suggest that the PDC 2007 conference has been canceled. A quick trip to the official MSDN Events page confirms the message: PDC 2007 is being "rescheduled" to better align with the "next wave of platform technologies". 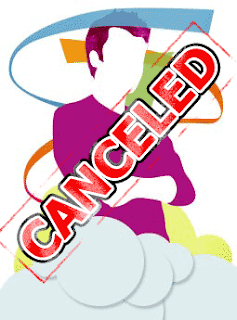 The apparent reasoning is that there will not be enough new technology to talk about at this year's event, so it is doubtful that we'll see PDC rescheduled for 2007. Telerik was planning on attending PDC 2007, so obviously this is an unfortunate turn of events. We always enjoy the opportunity to meet with Telerik developers at conferences like PDC, and I expect we'll be seeing many of you at next week's TechEd 2007 in Orlando. I'm not sure at this point if we'll be replacing this year's appearance at PDC with another event, but if you miss TechEd you should still be able to see us at DevConnections in November. I am happy to announce that I will be doing another WebCast with Joe Stagner at Microsoft next Thursday, May 31st. After the massive success of our last WebCast (which is still available for download), we arranged to make another appearance in the "Live from Redmond" WebCast series to address a common ASP.NET developer scenario. The "Do-it-yourself forums" WebCast will show you how you can use RadGrid, RadTreeView, RadEditor, and RadAjax "Prometheus" (the version based on ASP.NET AJAX) to build a simple forum application in less than 60 minutes. 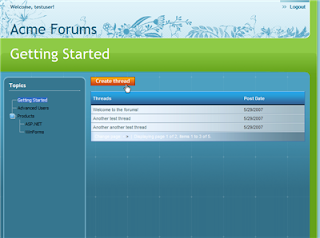 Forums are a great tool to add to any site that supports a community of users, but it is often a daunting task to actually add them to a site. Third party solutions are often hard to configure and customize, and solutions from scratch usually take too long to build. 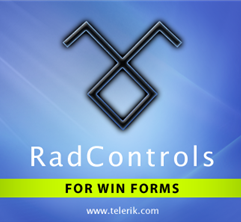 With the RadControls, though, you can build forums that sport a powerful UI that leverage the latest web technologies (in this case, ASP.NET AJAX) in no time at all. The event will be live and it will likely be popular, so don't wait to register. Our last WebCast filled-up quickly, so click here to reserve your spot in the Live Meeting right now. See you online next Thursday at 9:00 AM PST (12:00 PM EST)! UPDATE: It appears I posted the link to the last WebCast's reigstration. This is the right registration link. Sorry for the confusion! One of the fun new features of Sitefinity 3.0 is its out of the box support for adding blogs to your website. The Blogs module is one of five included with the first release of Sitefinity 3.0 (the others being Lists, News, Polls, and Generic Content) and it has all of the basic tools you need to quickly start a blog (such as post list and single post view). If you've been using a different blogging platform and you are considering switching to Sitefinity (like I am doing with Telerik Watch), you find there are some blogging tools that don't exisit in the current version. One such tool is the "blog archive tool", which on Blogger displays a list of all past blog posts grouped by year and month in an easy to use treeview. Fortunately, Sitefinity's module based architecture makes it very easy to extend the out of the box tools and add the functionality we want. To show you how you can leverage the Sitefintiy Blogs API and and to give you a brief introduction to building Sitefinity modules, I have created a "short" (about 45 minutes) WebCast that has everything you need to get started. The WebCast is full of code examples and explanation and should enable you to build your own Sitefinity blog modules when you're done. Click here to begin watching the blog archive module WebCast on Screencast.com. I hope you enjoy the WebCast and have fun building modules for the new Sitefinity platform! New AjaxProxyManager in RadAjax "Prometheus"
New properties and events in RadDock "Prometheus"
Clearly, this is a big service pack and definitely worth downloading if you've had any trouble with Q1 2007. Click here for the full release notes for RadControls and click here for "Prometheus" control release notes. The only service pack left now is Telerik Reporting SP1, which should be available in a couple of weeks. It is not often that Microsoft releases something that you haven't known was coming for months, but the announcement of their new Popfly platform on Friday was a rare exception. The Microsoft Visual Mashup Creator Express, May 2007 Community Tech Preview Internet Edition (a.k.a. 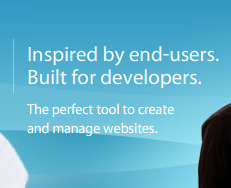 Popfly), which is still an alpha product, is Microsoft's attempt to enable "non-professional" developers to build their own "Web 2.0" mashups without writing any code. By using Silverlight (the 1.0 variety), the Popfly team has created a visual interface that allows non-developers to easily connect different "blocks" to create custom mashups. For example, a simple mashup generally requires that you add one "data source" block (such as Flickr) to your workspace and one presentation block (such as an Image Carousel). These 3D spinning blocks (which look very similar to Telerik's Silverlight demos) can then be visually connected by dragging a line between the two blocks. Once connected, you can preview your mashup and see images pulled from Flickr to fill your carousel. Check out this video from the Popfly team for a great overview of how everything works. If you read the Popfly FAQs, you'll discover that Popfly aims to be much more than a visual mashup tool. It appears the overall goal of Popfly is to become the "YouTube of applications", enabling developers and non-developers to easily share and rate projects. Time will tell if the universe of non-developers that browse YouTube everyday really want to create and share their own mashups. The Popfly alpha is an invite only opportunity (currently open to only 2000 people), so chances are you will not be able to play with this new tool right away. 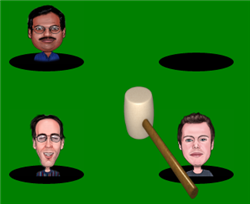 There is an interesting "Whack-a-dev" game, though, that may make passing the time a little more enjoyable. Sitefinity 3.0 is finally here! This upgrade marks a major step forward for Telerik's CMS product, launching Sitefinity into the modern "Web 2.0" era with WYSIWYG page layout, module based design, content versioning, workflow support, and complete integration with Telerik's award winning UI controls. Check out the brand new Sitefinity website (linked above) to see all of the new features and details (in case you missed them) or give the Sitefinity 3.0 demo a spin. You can also check out the new Telerik Watch running live on Sitefinity 3.0 to see a "real site" in action. Plenty of details will be pouring out about the new CMS in the coming days and weeks, but for now download your free trial and just have fun. Sitefinity 3.0 is $899 for most installations, but a free personal "Community Edition" is also available (though it lacks some of the features in the paid version). With the Sitefinity 3.0 release almost out the door, it is my pleasure to announce that Telerik Watch will be moving off of the Blogger platform and onto a new Sitefinity powered blog. The new blogging capabilities of Sitefinity 3.0 will give me more control over the content that I can make available through Telerik Watch and will allow me to actively demo the features of SF3. To get a sneak preview of the new Telerik Watch, check out this temporary link. Blogger has been a good platform and I have had a great time using it over the last 7 (or so) months. Sitefinity offers some exciting new opportunities, though, so I hope you'll bear with me as I make the transition. I will do everything possible to make the move smooth for you- my loyal readers- but it is possible that some of your bookmarks might break when telerikwatch.com is handed over to the new site. 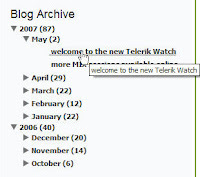 If that happens, simply replace "telerikwatch.com" with "telerikwatch.blogspot.com" to restore your links. Most of the Blogger content has already been migrated to the new site (via a conversion tool I built and will eventually make available), but I need to make sure all links and RSS feeds work correctly before cutting over. 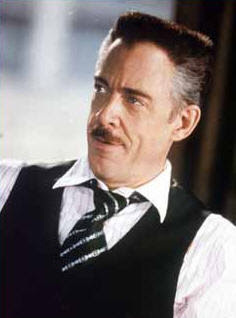 Until then, keep watching for new posts here and let me know what you think of the new site! It has been another record setting year for Telerik in the annual asp.netPRO Reader's Choice awards. This year Telerik took home 8 awards, winning first, second, or third in all categories where we were nominated. This trumps the seven awards we won in 2006 and the five awards we won in 2005. RadEditor and RadCalendar took top honors this year winning first place in the "Best Online Editor" and "Best Scheduling/Calendar Tool" respectively. RadGrid, RadMenu, RadSpell, Sitefinity, and the RadControls suite won second place in their categories; RadChart won third place in "Best Charting & Graphics Tool". The asp.netPRO awards are a huge honor since they represent the opinions of actual developers instead of the opinions of a few judges or editors. This year's awards also put Telerik way ahead of other ASP.NET component vendors, with Infragistics only taking home 4 awards, DevExpress taking 6 awards, ComponentOne taking 3 awards, and ComponentArt not represented at all in the awards. For a full list of this year's winners, visit the asp.netPRO website. Thanks for voting and for continuing to make Telerik number one. We look forward to continuing to deliver more than expected in 2007! One of the better breakout sessions I've seen from MIX so far about Silverlight is the 2-part "Building Silverlight Applications with .NET" presented by Jamie Cool and Nick Kramer. 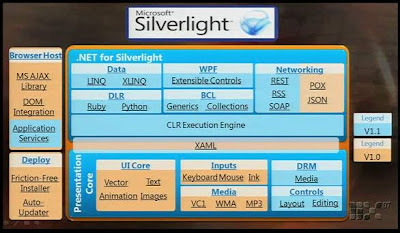 This presentation covers all of the Silverlight basics- like what it is, where it runs, and how it integrates with .NET- and provides a good primer on XAML. But since the presentation is over 2 hours long, I've prepared a quick summary of the highlights for you here so you can get the knowledge even if you don't have 2 hours to spare (and who does these days). Since this presentation addresses .NET and Silverlight, you can already assume we are talking about Silverlight 1.1 (due towards the end of this year/early 2008, though officially they're "not prepared to comment on the release at this time"). Version 1.0 of Silverlight, which ships this summer, will include most of the core Silverlight elements but will not have .NET integration, XAML extensibility, or any built-in controls. The following slide from the presentation makes clear what will be in 1.0 and what will be in 1.1. 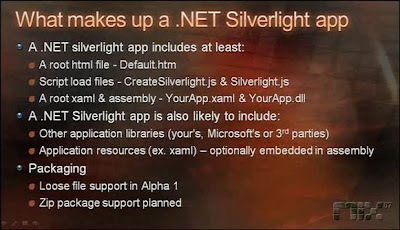 Silverlight 1.1 will implement a subset of the "standard" .NET framework as we know it today. That means the programming model for Silverlight development doesn't change, but there may be some features in "normal" .NET that won't be available in Silverlight. Jamie made it clear they haven't completely determined which features from the 50MB .NET framework will be ported to the lightweight Silverlight version, but their goal is to deliver as much functionality as developers need without bloating the download and ruining the user experience. 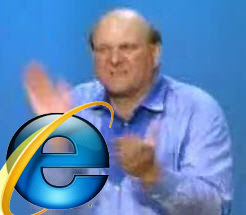 It's important to remember that all Silverlight applications will literally run in the browser. This is not like ASP.NET with .NET that runs on the server and sends HTML back to the browser. Silverlight apps are compiled and downloaded when a visitor visits your site and then they run completely on the client machine (which means there is no server session or ViewState to deal with!). That also means your Silverlight apps will be able to respond to mouse events in .NET code, something Windows developers are used to but something web developers will have to get used to. Silverlight will run in a browser sandbox, which means that it will not have access to the local file system (like ActiveX). This is primarily done to keep Silverlight as secure as possible, but there are some things being done to add "special" client features to the new framework. Supposedly, Silverlight will have "isolated storage" on the client for some amount of local file saving (limited by a quota and secured by an obfuscated path) and support for client-based file upload. The Silverlight Team is also working on enabling some cross-domain access from Silverlight, though they acknowledge it is a difficult feature to enable without jeopardizing security. It is clear that the first release of Silverlight is just a "placeholder" for the 1.1 release. That means a lot of attention is going to be on the 1.1 alpha released last week. To help us understand what's in the alpha and what we can expect at release, Jamie and Nick provide a full 5 slide overview of the differences in their presentation that I have recompiled in HTML for your viewing pleasure. The "1.1 alpha" column lists all of the features in the currently available Silverlight 1.1 version and the "1.1 thinking" column represents what the Team is currently planning for the release. The loose "thinking" term is used to make it clear that there is still room and time to negotiate what does (and doesn't) make the 1.1 release. The WPF column is included to show how "WPF/e" compares to its big brother on the desktop. There are a few gotchas in the current Silverlight 1.1 plans. At present, each Silverlight control that you add to the page is isolated to its own domain. That means if you load multiple Silverlight controls at different places on your page, they will not be able to communicate with each other. This is an alpha issue that will hopefully be addressed before the release. Also, System.Data, one of the most common .NET framework namespaces in any .NET project, is not currently planned for inclusion in Silverlight. The Silverlight team is not sure that the namespace is necessary (that's how tight space is in .NET "light"), so be sure to let your voice be heard if you want DataSets and DataTables in the Silverlight 1.1 release (or forever hold your peace...until 1.5). Hopefully you've learned more about Silverlight and understand more clearly how the latest releases play into its overall plan. Enjoy the screenshots and watch for more Silverlight updates in the future. 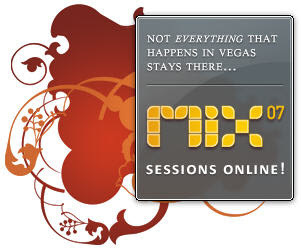 MIX 2007 has come and gone and in its wake left hundreds of hours (well, maybe closer to 70 hours) of online video of keynotes, breakout sessions, and panel discussions. If you still have yet to see the impressive library of fresh content, check out the official sessions page to download videos in your format of choice. With almost 2-weeks worth of video, though, I thought I'd give you some recommendations so you have a good place to start. If you're looking for general overviews of the "big" announcements made at MIX (and some flashy demos), I'd definitely recommend the keynotes. I watched both keynotes live and found them each uniquely interesting. Ray Ozzie and Scott Guthrie's keynote is for the more technically oriented and Robbie Bach's is more generally geared at the creative/marketing type. If you like both fields (like me) don't miss either keynote. For those looking to really dig deeper into Silverlight, I'd highly recommend Jamie Cool and Nick Kramer's "Building Silverlight Applications using .NET" (part 1 and part 2). They share some very interesting information about Silverlight and do a good job showing a simple Silverlight demo (unlike the flashy demos trotted around the keynotes). I'll be doing a full summary post (along with a gallery of images and slides from this session) very soon. Stay tuned. Some of the MIX speakers are much more engaging and easier to follow than others, but all of the presentations are packed with valuable information. These recommendations should give you about 6.5 hours worth of viewing material and if I find other "gems" I'll be sure to let you know. Share your favorite picks in the comments.